Disclaimer – I am a distributor for the ThermoClear, and was previously a distributor for ThermoLo, so I will do my best to present FACTS and not OPINION! 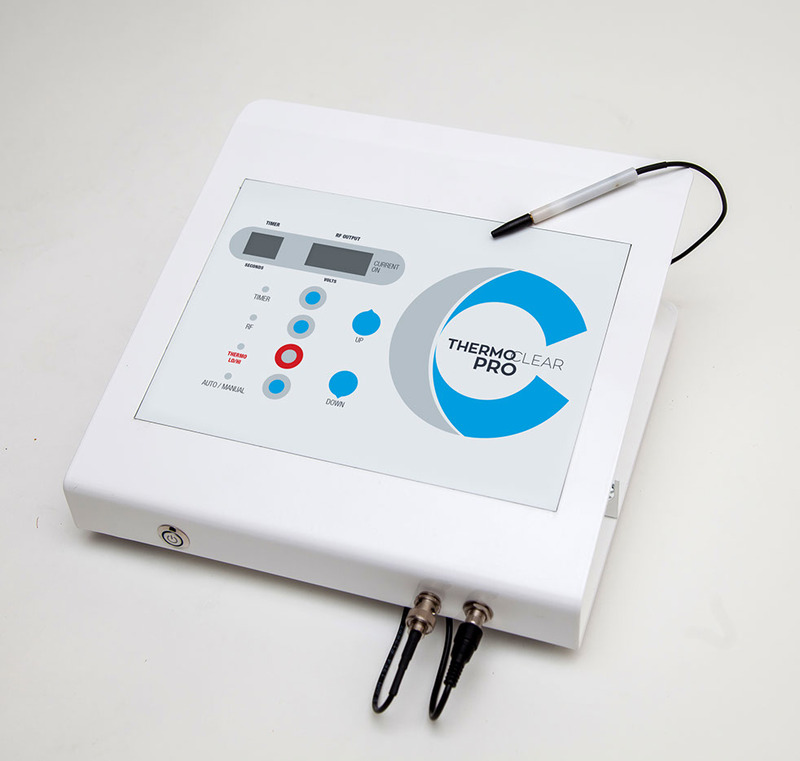 There has been a lot of chatter on the Facebook estheticians’ boards lately about a few Radio Frequency (RF) devices on the market; Specifically the ThermoClear, ThermoLo, Skin Classic and LamProbe. The machines are extremely similar, however the ThermoClear and ThermoLo are able to deliver both Low and High RF. Low RF is designed to treat epidermal imperfections such as: dilated capillaries, skin imperfections (such as milia, sebaceous hyperplasia & cherry angiomas) and sun/age spots for ALL skin types and for older clients with thinner skin and higher Fitzpatrick skin types (IV – VI), without the worry of hypo/hyper-pigmentation. High RF allows the operator to treat skin tags. In addition, the ThermoClear and ThermoLo utilize digital technology, while most other RF devices use older, analog technology. These improvements, combined with a solid waterproof overlay that protects the internal workings from dirt, oil and water, makes the ThermoClear and ThermoLo an advancement to other machines on the market. I want to clarify that there are a few machines on the market, that use an electrical spark to treat the skin. THIS IS NOT THE SAME AS THIS MACHINE! The ThermoClear, ThermoLo, Skin Classic and LamProbe do NOT use a spark to treat the skin. Please, keep this in mind when you are choosing which machine to purchase. Spend the time to do your due diligence on whichever machine you purchase!! !